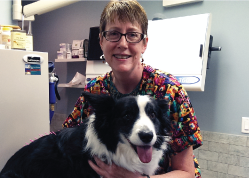 Dr. Catherine Dreskin has been involved in veterinary medicine for almost 30 years. She is a graduate of Oklahoma State University College of Veterinary Medicine. She is thrilled to be here in Manahawkin and is excited to meet you and your pets!!! Dr. Dreskin practices both traditional medicine and modern medicine. By combining both of these forms of medicine she can offer the very best care for her patients, care that most veterinary practices can not offer. Dr. Dreskin uses a holistic approach to healing your pets from the inside out. She attended the prestigious Chi Institute in Reddick, FL. Here she learned the art of ancient Chinese medicine. Dr. Dreskin can use acupuncture as well as herbs and nutritional modalities for the treatment of her patients. When modern medicine fails to help her patients, Dr. Dreskin can offer this these special techniques to help patients suffering from chronic pain as well as many other ailments. Dr. Dreskin has always been very active in her community serving senior citizen groups, municipalities, scouts and local dog clubs. She is an active member of the AVMA(American Veterinary Medical Association), the NJVMA (New Jersey Veterinary Medical Association), the American Association of Traditional Chinese Veterinary Medicine (AATCVM), and the American Animal Hospital Association (AAHA). Dr. Dreskin is a proud member of the faculty at Camden County College where she is the professor of Small Animal Veterinary Medical Nursing I. Dr. Dreskin serves on the advisory board for the veterinary technical program at the college. She significantly contributes to the continued success of the program, as well as, the continued success of her students. You can find her students working in veterinary hospitals all over NJ! Dr. Dreskin is passionate about veterinary medicine and this is evident in all that she does. Please stop in and meet her! 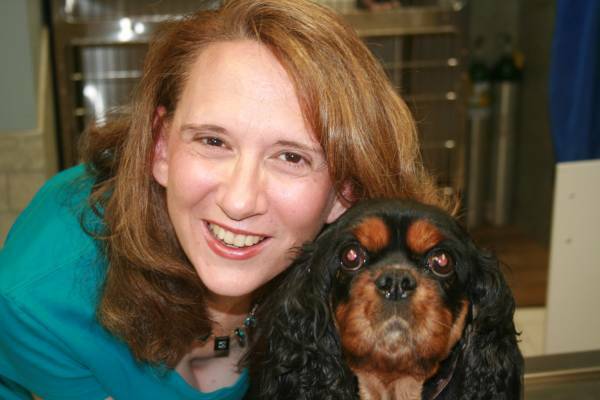 Dr. Patricia Zinna is a 1998 graduate of Cornell University, College of Veterinary Medicine. She resides in Matawan, NJ and has been a New Jersey licensed veterinarian since 1999. Dr. Zinna has concentrated her career in small animal medicine and, like Dr. Dreskin, attended the Chi Institute in Reddick, FL where she learned to use acupuncture and other alternative methods of veterinary healthcare. She has completed advanced veterinary courses in Dentistry and has a special interest in canine physical rehabilitation. While her passion is practicing veterinary medicine, Dr. Zinna also enjoys oil painting, yoga, hiking, biking, triathlons and volunteerism.